Last week I put on a Word Wall Ball for our military homeschool group and it was… AWESOME! Okay, I know that is totally braggy but I’m just really happy with how well it went and how much fun we all had. So what is a Word Wall Ball you ask? 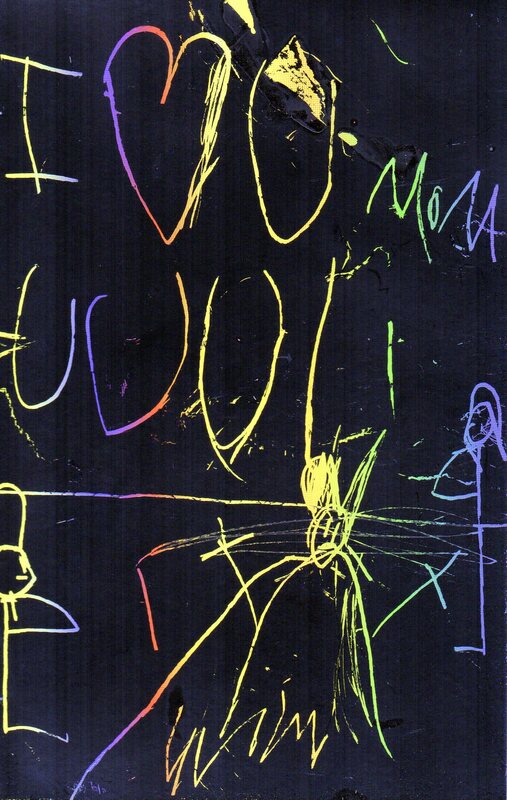 Well, my sister gave me the idea from something she observed in a kindergarten class. 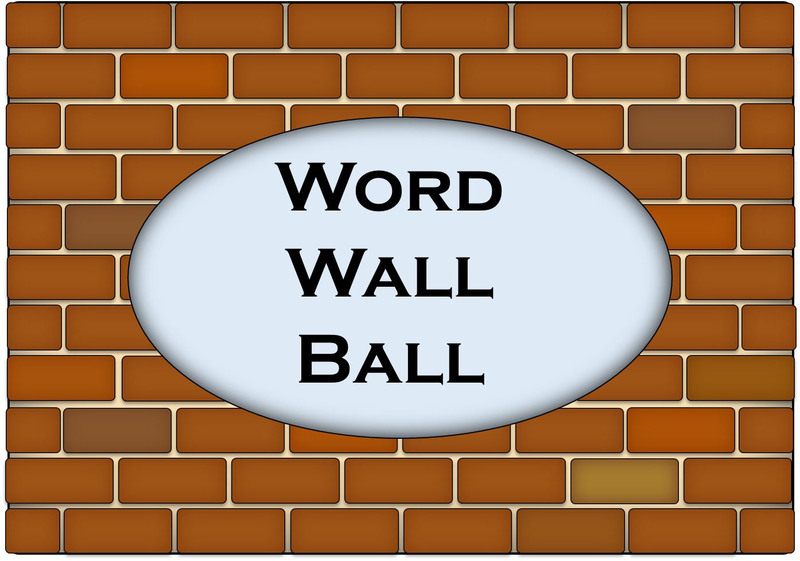 The idea was that kids would have their list of sight words on their word wall when they have learned all of them they earn a ticket to the Word Wall Ball. Really we just celebrated everyone’s accomplishments in reading, whether it was learning sight words or starting to read for the first time or finishing a grade level. We held it at the community center on base and everyone brought a potluck dish to share for lunch. 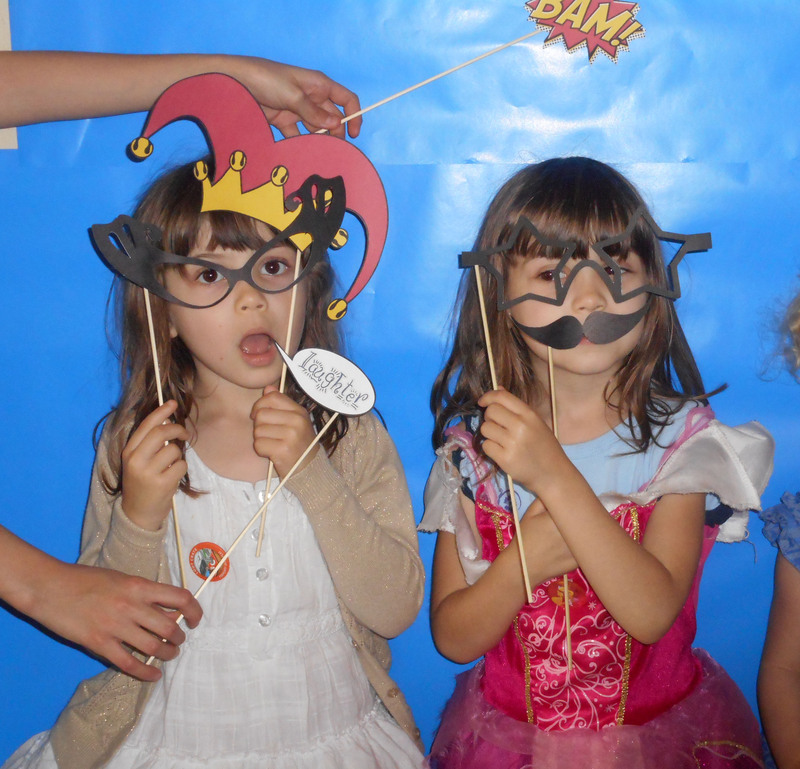 I said for the kids to dress fancy for them–whatever would make them feel special–and boy did they dress up. 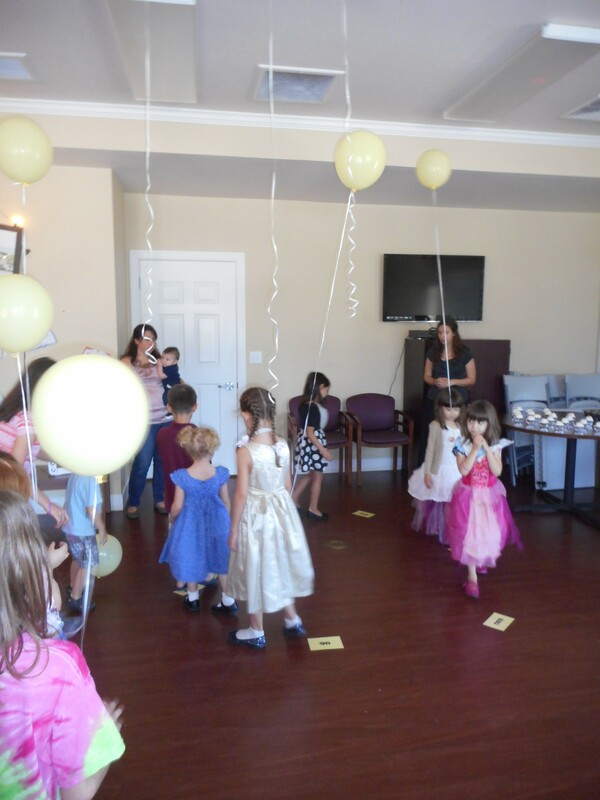 I had helium filled balloons floating around with strings long enough for the kiddos to catch them and then other balloons on the ground for kids to bounce around (if you know me IRL you know what a big deal this was for me because I HATE balloons). When they entered I had royal music playing (alright, it was just the march from Sleeping Beauty) and as soon as the kids came in and saw the balloons and everything they started screaming and bouncing around and dancing. I also had out scratch out for the kids to do. Such an easy craft–just set out the supplies–but such a big hit. 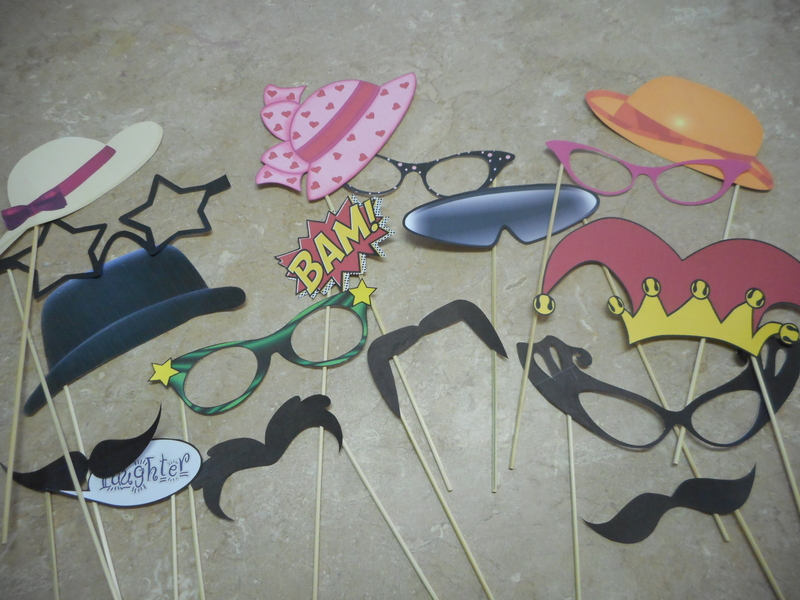 I found my props online; then just cut them out and added shish kabob skewers. I recommend using an exacto knife for the eye holes and other fine details. And before sure to glue the skewers with the pointy end against the paper piece so no one gets hurt. So many are for weddings or adult parties but I found good ones for the kiddos at Accent the Party (a great list) and Creative Juice. But the best part of all for everyone was recognizing the children’s accomplishments. 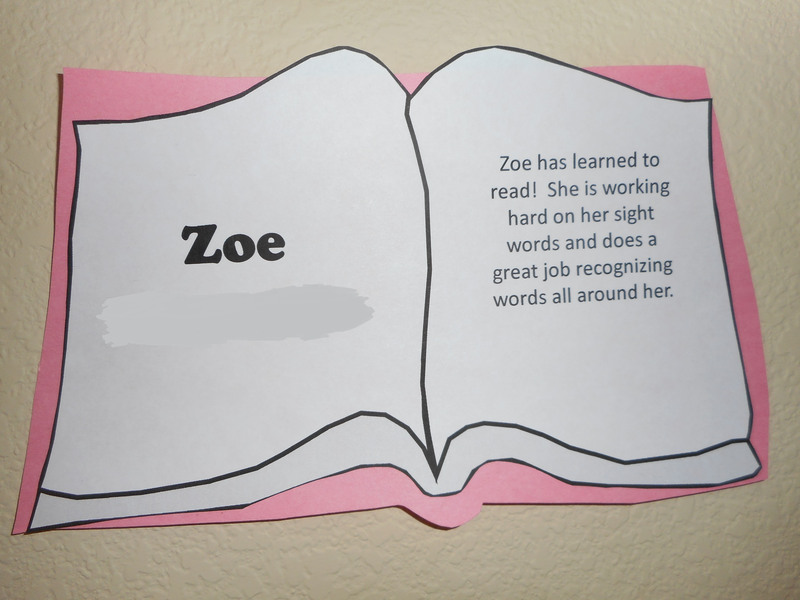 On the walls I had a book for each kiddo celebrating their achievements in reading. I had the parents write me with what they wanted to celebrate and then I just copied and pasted them onto the book stencil. 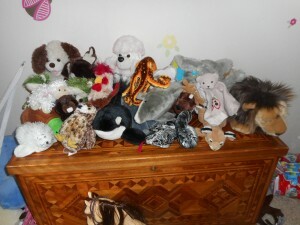 At the end of the party we gathered the children around to acknowledge each of their accomplishments. 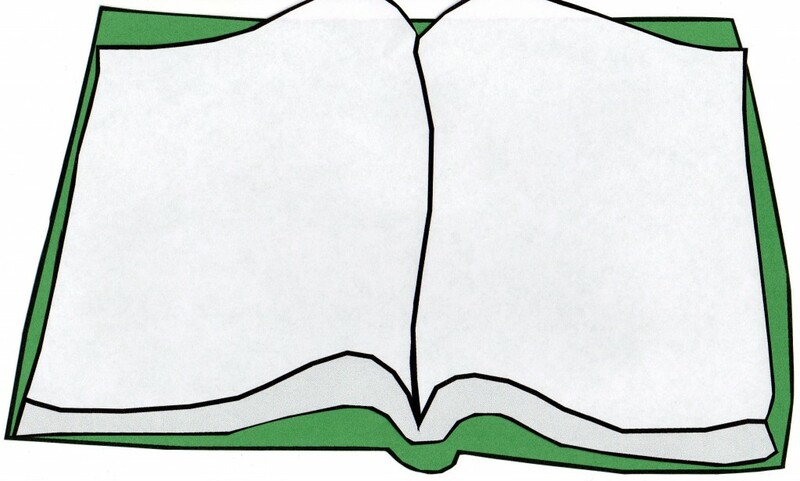 After announcing the child’s name, I would read their “book” to the group and we all cheered. 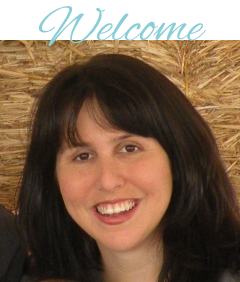 I am uploading the book template as a powerpoint file so that you can make adjustments and add your text. I am also adding it as a pdf in case you can not open the powerpoint. 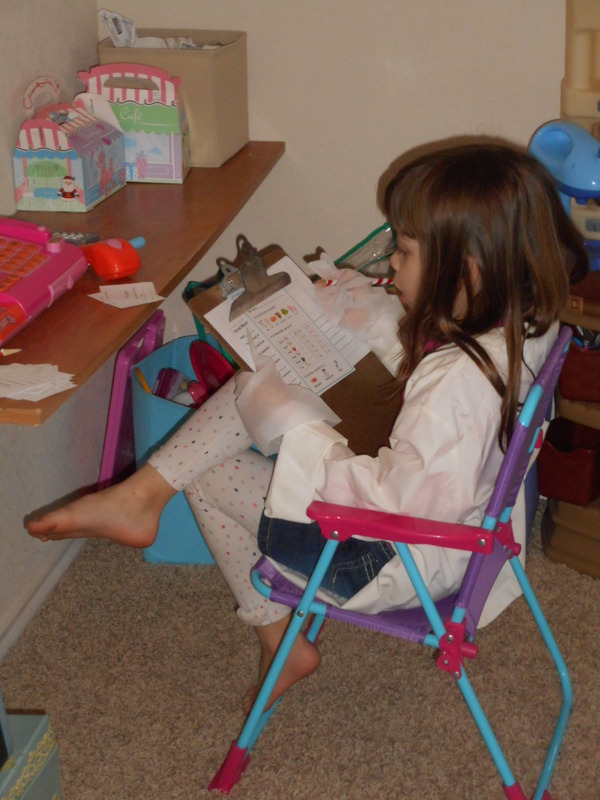 In homeschooling kids can miss out on public recognition of their achievements. While we shouldn’t do things just for the applause, it certainly is nice to be celebrated. I think all the parents were surprised at just how much it meant to our children to recognize them in front of the group. You would have thought they won the lottery when I called a name. We will definitely be doing this again in the future. P.S. We used the plain scratch art paper that I actually cut in half sheets and it worked just great. 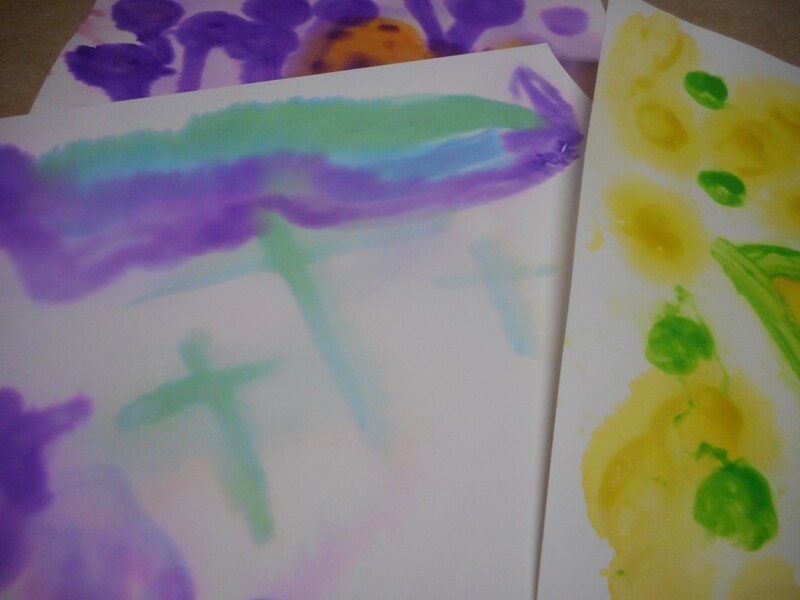 The kiddos loved creating their own designs. 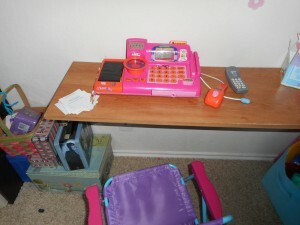 But if you are looking for something a little more fancy or structured, there really are all kinds of great options. As part of our Frozen-themed unit we did an experiment to see how different liquids freeze differently. Our question was “Do all liquids freeze the same?” States of matter are one of the girls’ favorite science topics lately so this experiment was right up their ally. 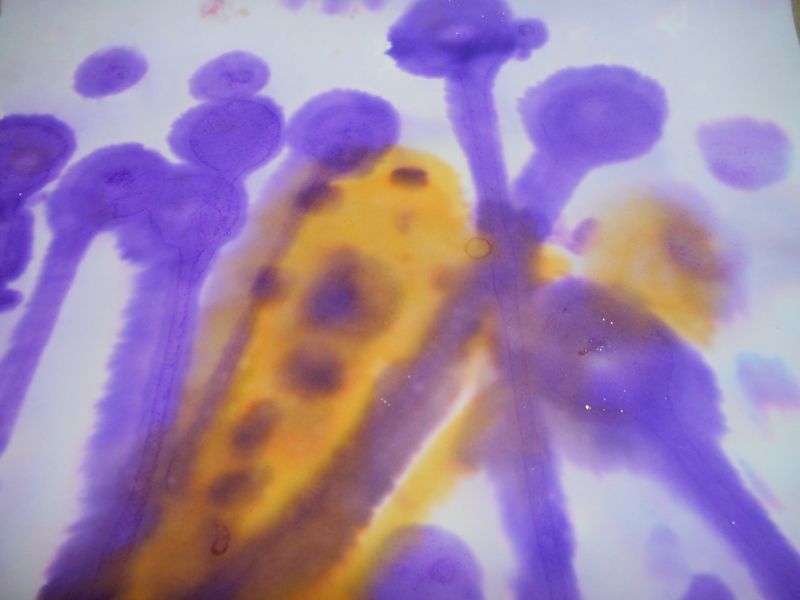 I loved that it was such a quick and easy experiment that they found interesting. 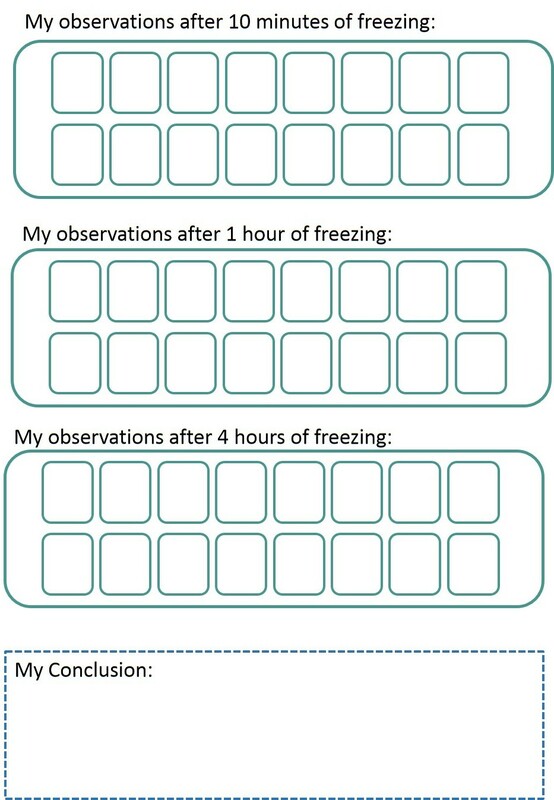 I made these worksheets for them to use as we went through the experiment. 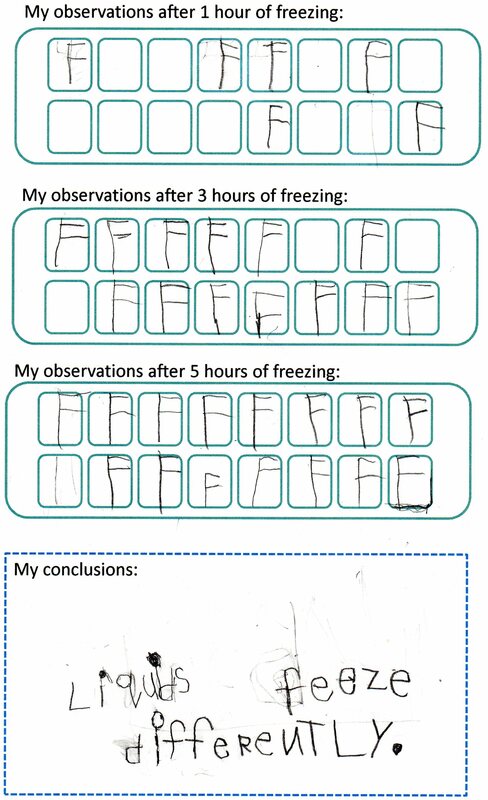 I thought it was interesting that the girls each had a different hypothesis–one saying they will all freeze the same and the other saying that they will freeze at different times. 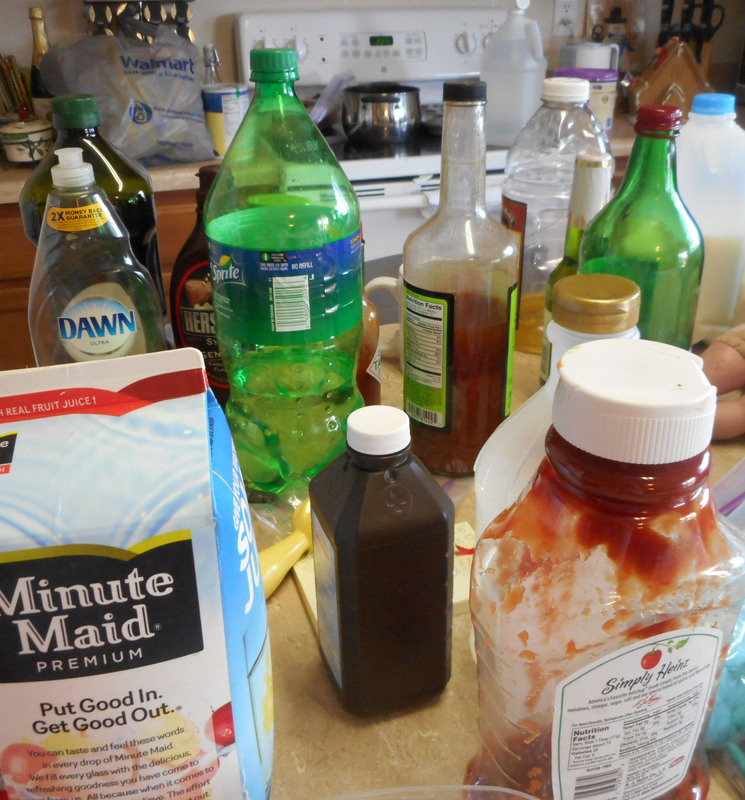 The ice cube tray diagram allowed us to keep track of which liquids were in which spot. We then placed our ice cube tray into the freezer. 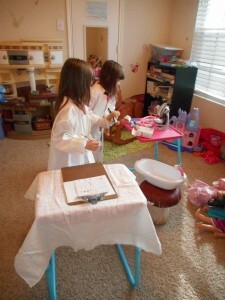 Then at our set intervals we would take out the tray and record our observations. I just had them make an F in each square that was frozen when we checked. After doing the experiment I realized it would be better if we had checked after 10 minutes, 1 hour, and then 4 hours so I changed the worksheets to reflect that. 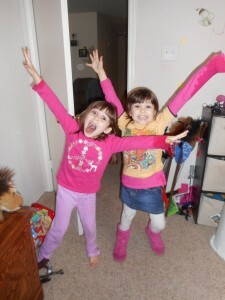 The girls were able to come to the conclusion that different liquids freeze at different rates. 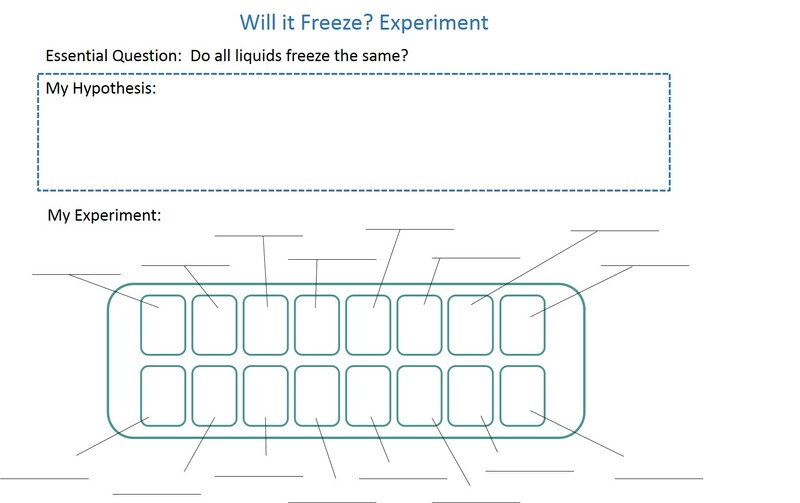 We were also able to introduce the idea of viscosity since they were able to see how it affects the rate of freezing as those with a high viscosity froze more rapidly than those with a low viscosity. 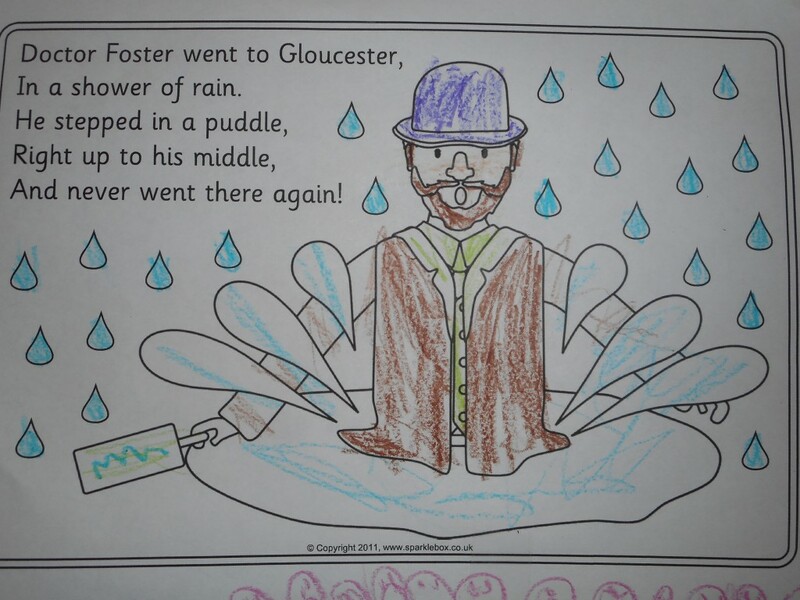 With all the rain we’ve been experiencing here, I thought that the nursery rhyme “Doctor Foster” would be perfect as we got back into our nursery rhyme memory work. 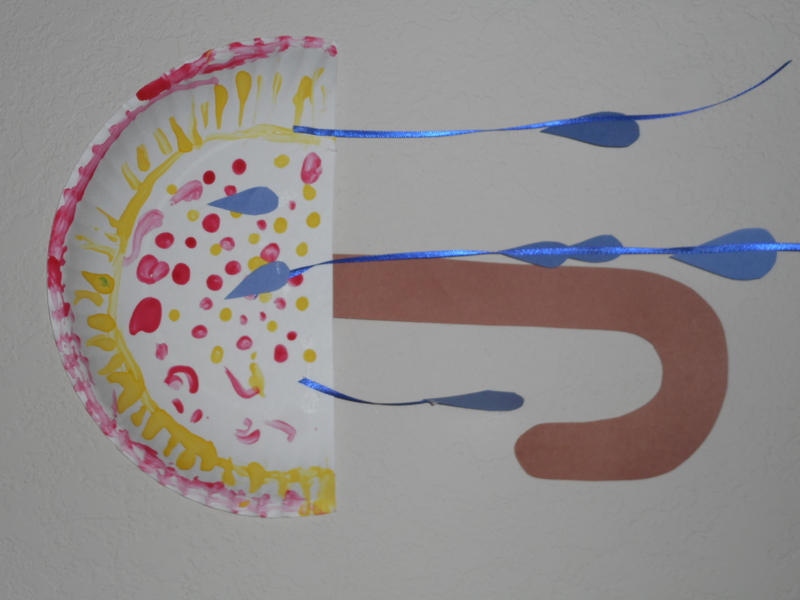 To go with the poem we made these cute umbrellas. 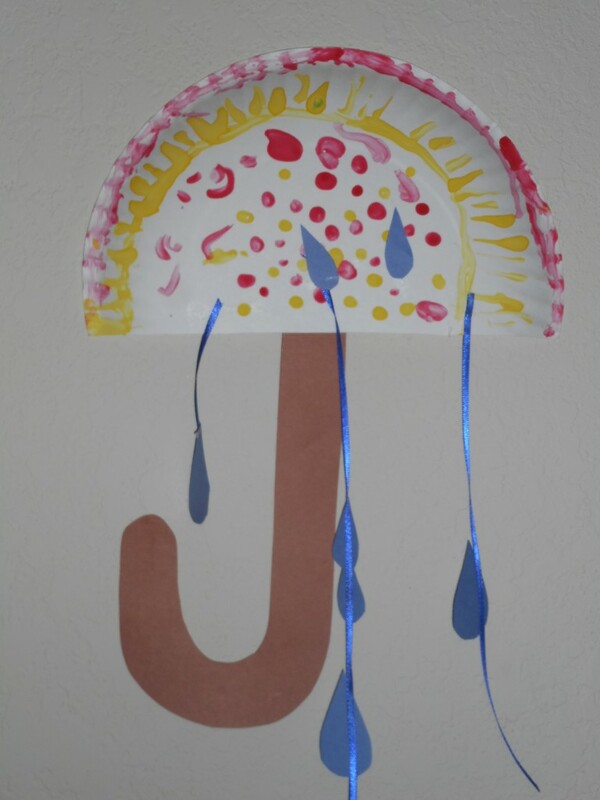 The girls fingerpainted the tops and then glued on the handles and the rain drops. I just gave them ribbon and precut raindrops and let them decide how they wanted their rain to look. 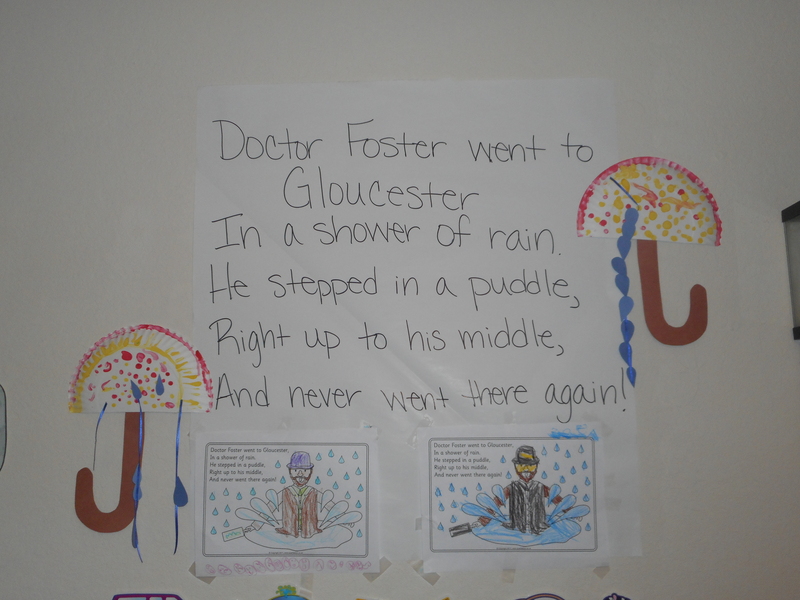 We also did rain paintings. 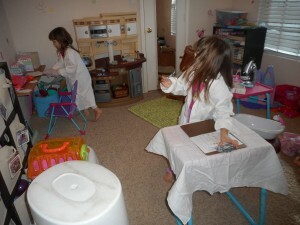 The girls painted designs and then we placed the sheets out in the rain to get splattered. It was inspired by a picture on pinterest that didn’t turn out at all like the pin, but we still liked the tie-dye, watery look we got. Be sure to use thick paper (I used cardstock) and only have it out in the rain for a minute or two (or your picture can disappear). 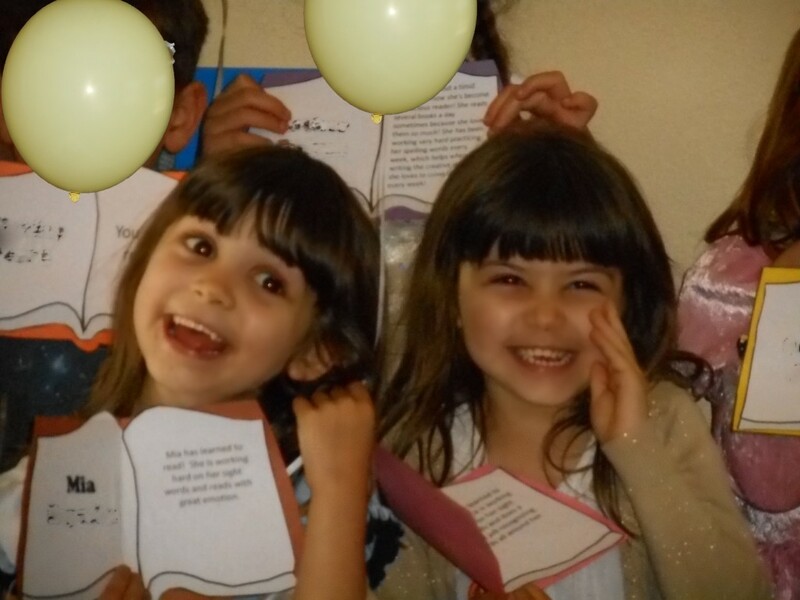 And while practicing reciting our poem, we also colored these printouts from SparkleBox. 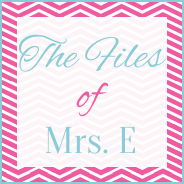 (SparkleBox is a UK site filled with all kinds of great printables and goodies.) Just click on the picture to go get the coloring page along with a short book. Guess what we did today! Lately the girls have been obsessed with playing with their stuffed animals so I decided to set up a veterinary office in their playroom for after we finished school. We’ve always done child-directed activities so I’ve never actually set up something like this ahead of time. If you know my girls in real life you know that they have no shortage of imagination (my mom would tell you that their whole life is dramatic play) so it just didn’t really occur to me sooner. But this was super easy and considering the happy reaction, we will definitely be doing this again. 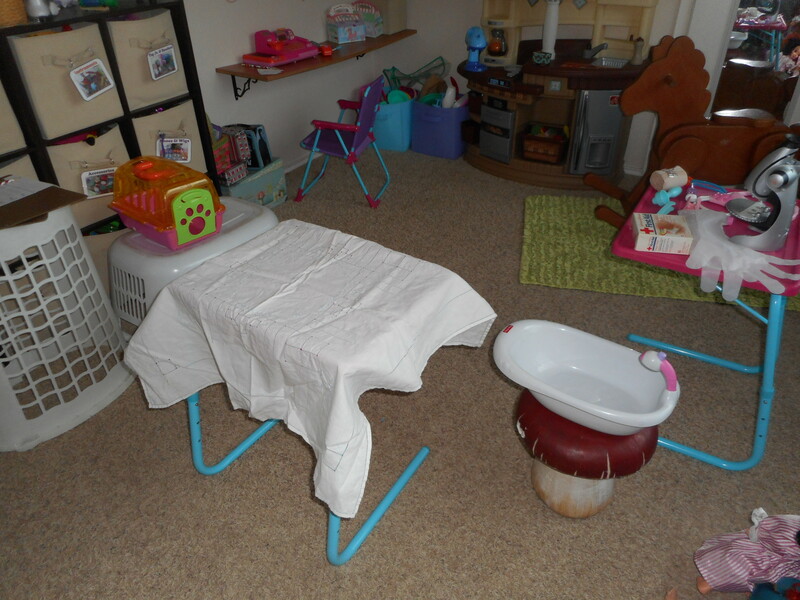 So here is our veterinary office using only supplies we already had on hand…. For our tables I used TV trays (we received some kid-sized ones a few years ago). I covered one with a small table cloth to make it an examination table. 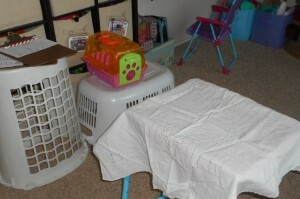 And laundry baskets came in very handy for additional set-up. 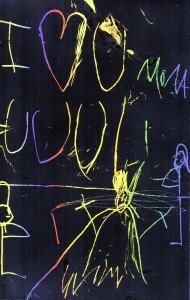 Learn Create Love (examination and adoption forms). I printed out all the different forms so that they could see which ones they liked. All of their customers waiting to be seen! Time got away from me with the new little one but I still wanted to share our language arts activities from our pumpkin unit. 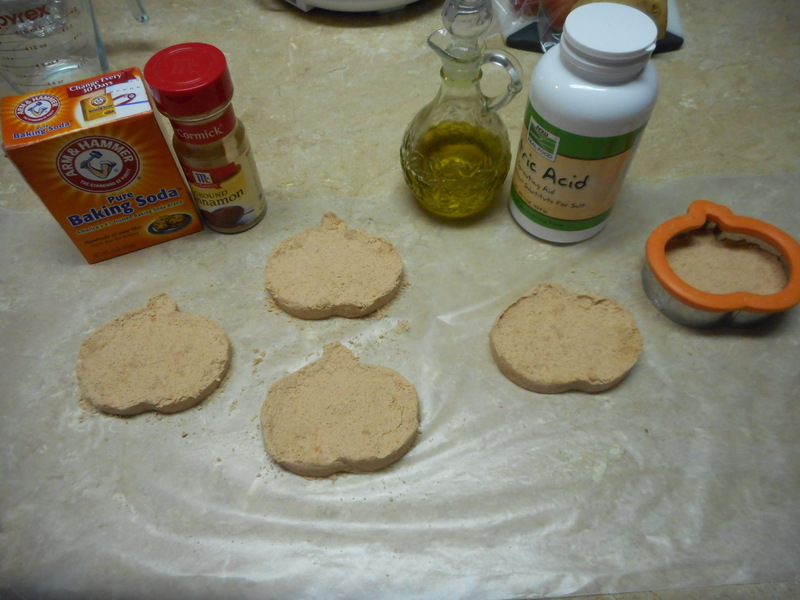 I also include some of our sensory activities at the end (besides the pumpkin playdough in my science and math pumpkin post). 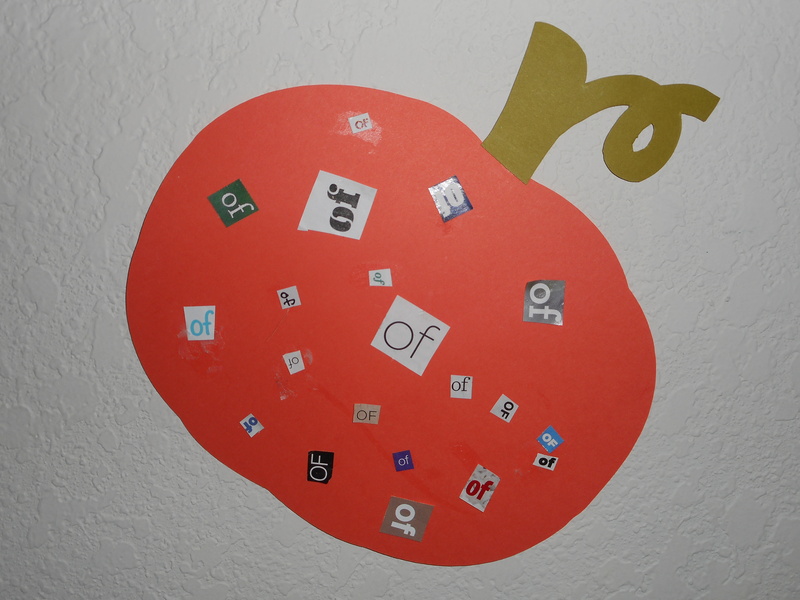 I had my husband make this fun puzzle game to play around with word families. 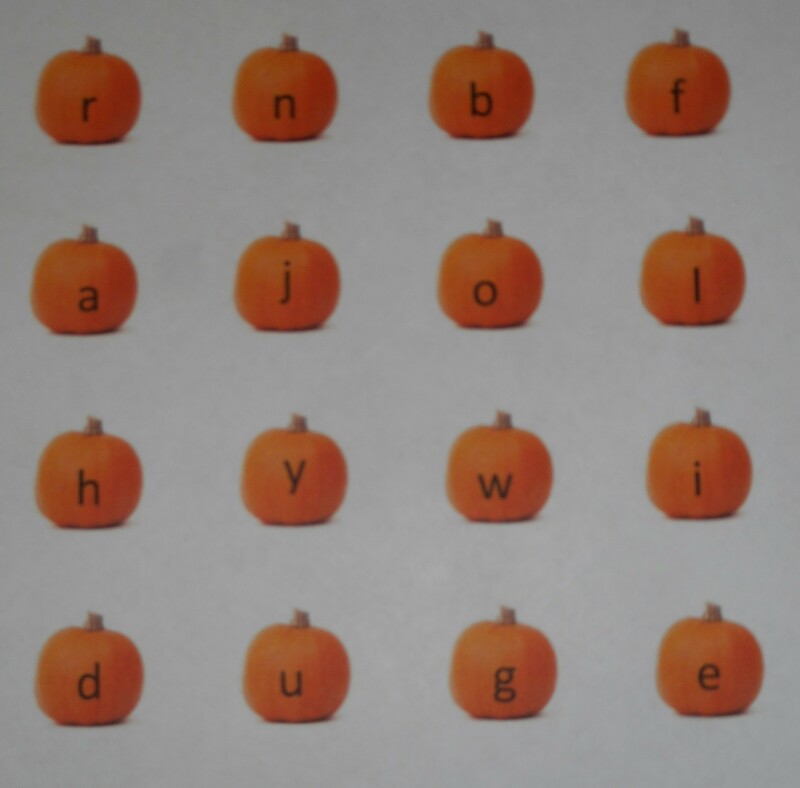 They match the pumpkin pieces together to create a word family pumpkin. 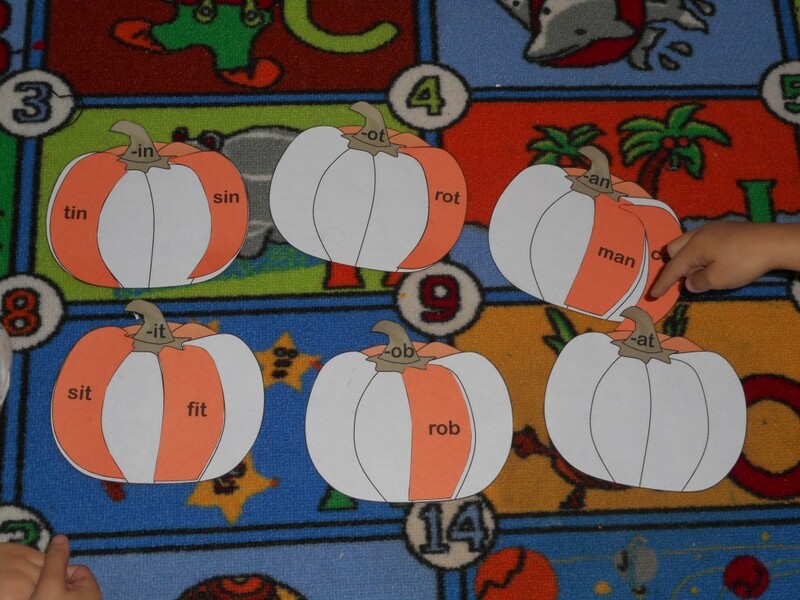 The girls had a great time matching up the word families and seeing how they made a pumpkin. 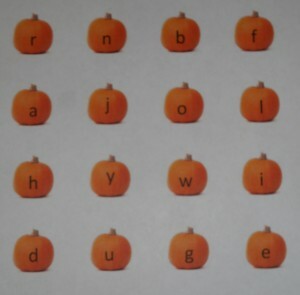 The bottom piece is printed on white paper and then the top pumpkin pieces were printed on orange paper. The pieces can be a puzzle to reuse over and over or it can be a cut and paste activity to produce a finished product. 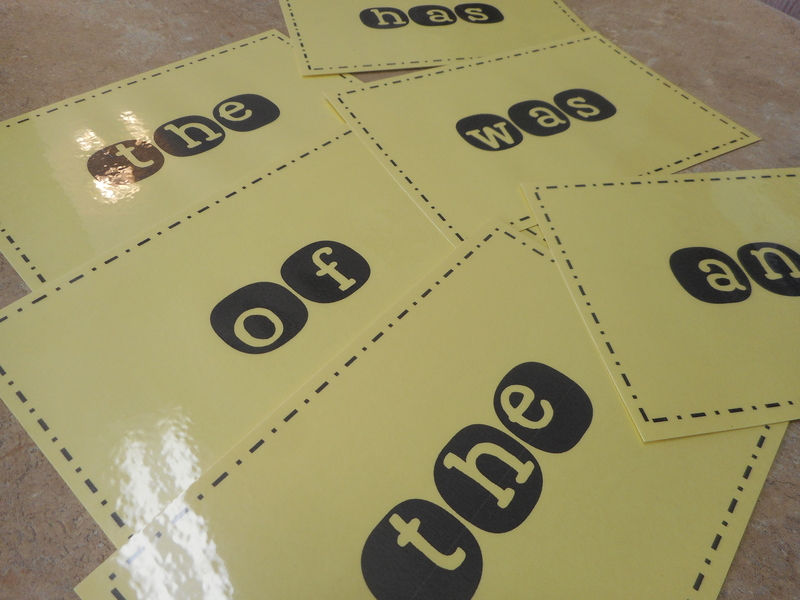 This was a great way to work with our sight words. 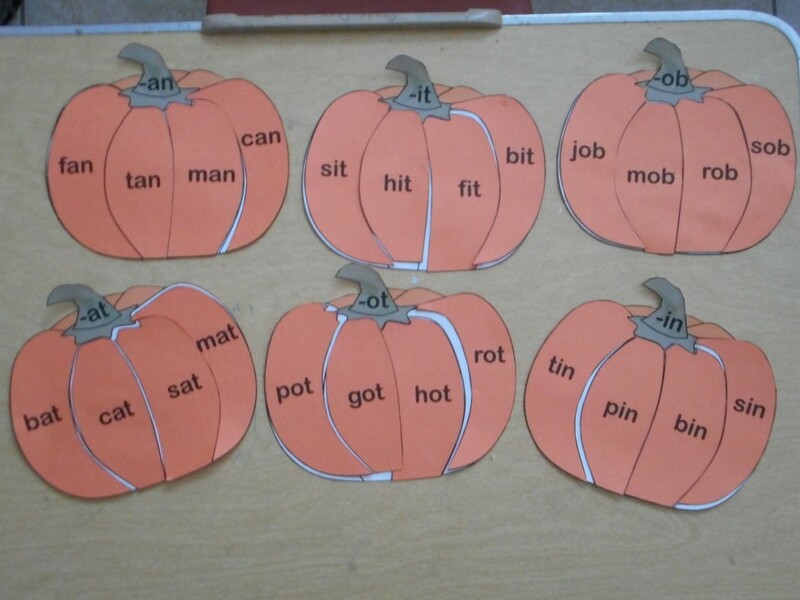 We cut the words out of magazines and then in keeping with our theme glued them to these cute little pumpkins for our growing pumpkin patch. 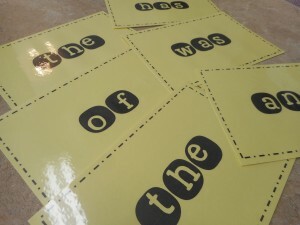 This is a great way to practice our vocabulary words. 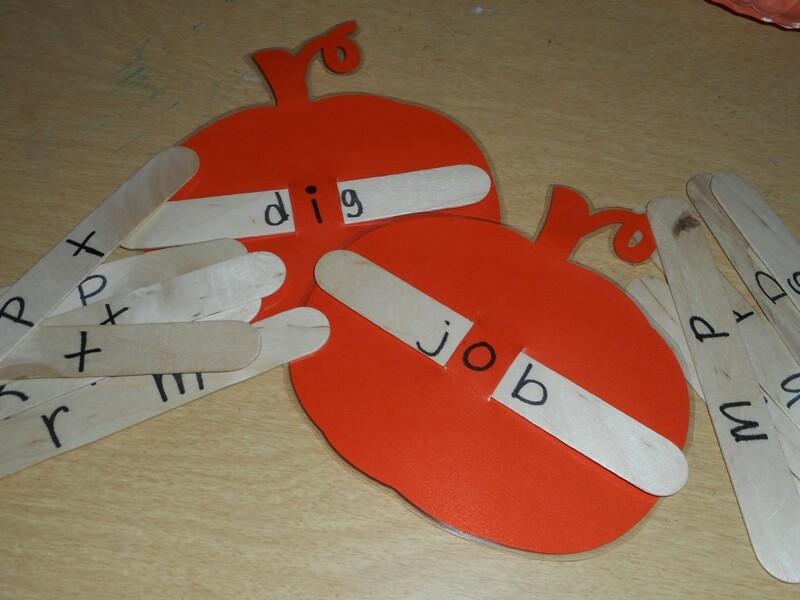 The vowel is written on the pumpkin and then the girls can slide the popsicle sticks through to create new words making it an interactive way to get through their reading lists. Have I mentioned before that my kids love letter bingo? I make a letter sound and they find the letter on their bingo sheets. 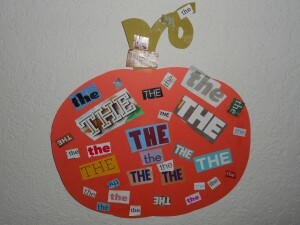 Really they love the the game because it ends in eating lots of M&Ms but I like that it’s a great phonics review. 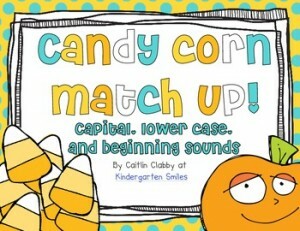 My girls really enjoyed this cute candy corn letter game from Kindergarten Smiles. 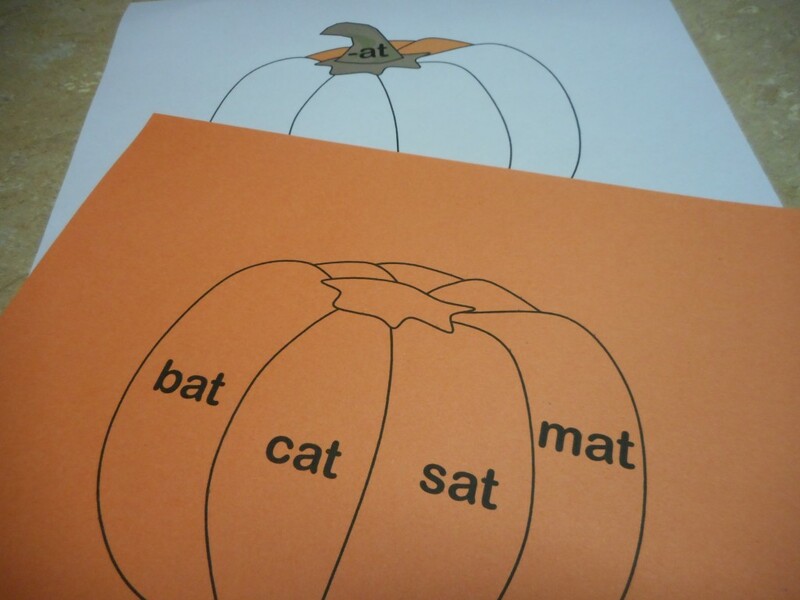 It was a great review of letter recognition and sounds. Just click on the picture below to access the game which is available for free through Teachers Pay Teachers. My girls love cloud dough! Who am I kidding? So do I! It’s super easy to make just add flour and vegetable oil (enough to make it damp and moldable). 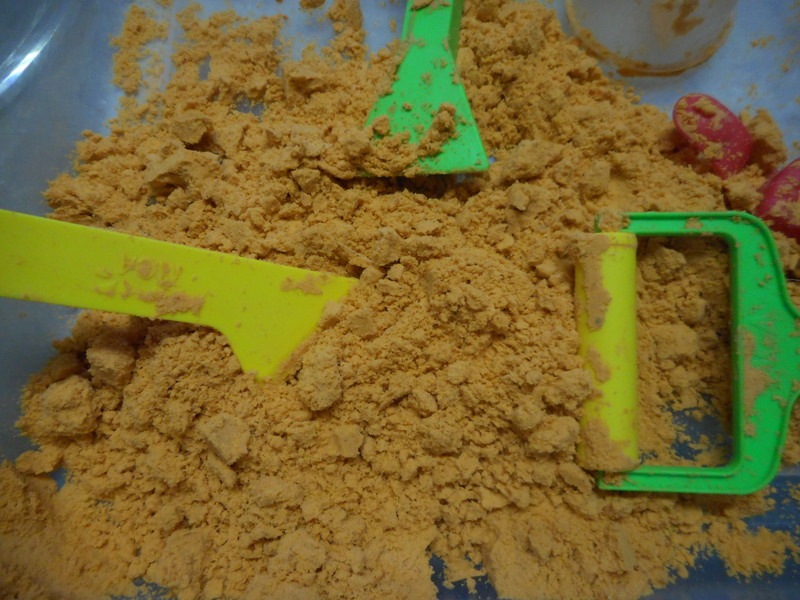 I just added pumpkin spice and orange powdered tempera paint to make it pumpkin flavored. 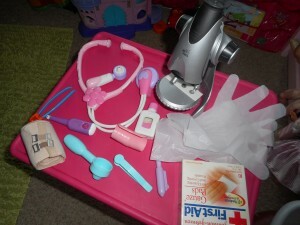 We often use activities like this while I work one on one with the girls. Thanks to Fun at Home With Kids we were able to make these fun fizzing bath bombs. We will definitely be doing this again in different shapes and scents! The cinnamon is good to fight germs but it does make your tub rather cinnamon-y so you probably won’t be washing hair in the tub that night. You get get the recipe here. 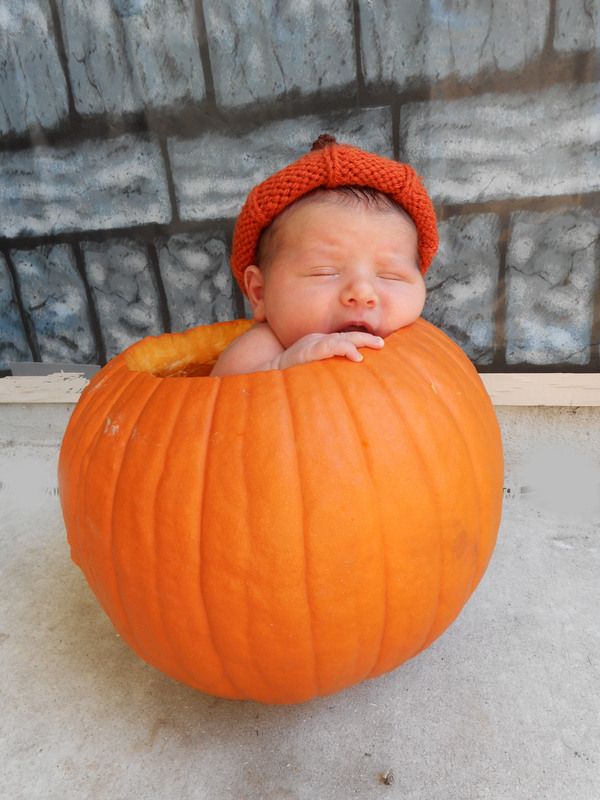 And finally since we are talking about pumpkins I just need to include my pumpkin baby picture. I just love this little guy!